The Felicity is a beautiful fiberglass pedicure spa that features an impressive square glass sink bowl. 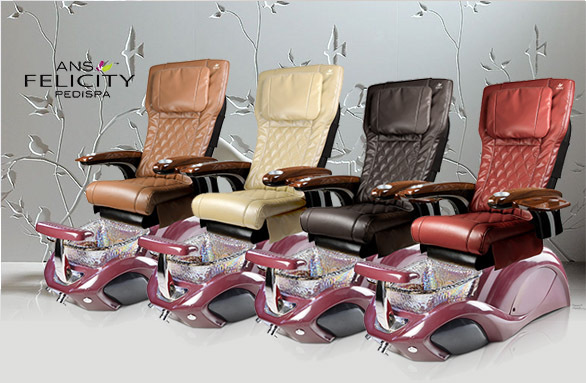 Impress your customers with the sleek design and classy elegance of this luxurious pedicure spa. 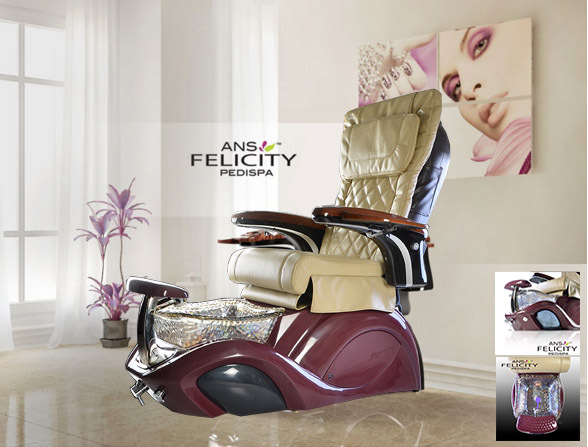 The Felicity features a beautiful footrest, polished chrome hardware, stainless steel shower hose, built-in LED color therapy light, FREE matching pedicure stool. 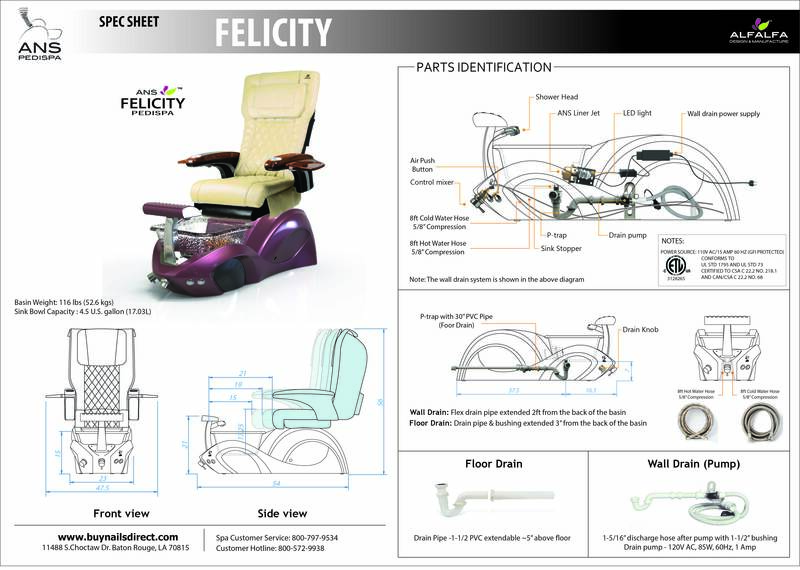 The Felicity also includes a premium massage chair of your choice. The Felicity is available in two color choices to match the style of your salon. Choose from beautiful Ruby or Cream. The Felicity includes a sohpisiticated square glass bowl. Square Glass Bowls and Scallop Sink Bowl are available in four beautiful color options. 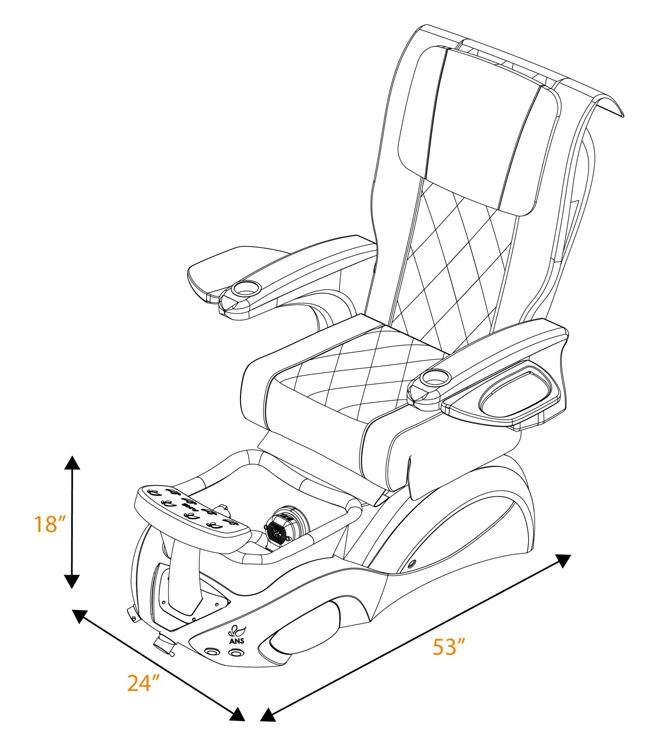 You will earn 2150 Points for purchasing this product.